This handy little hunter’s special should not be mistaken for an actual bullet. 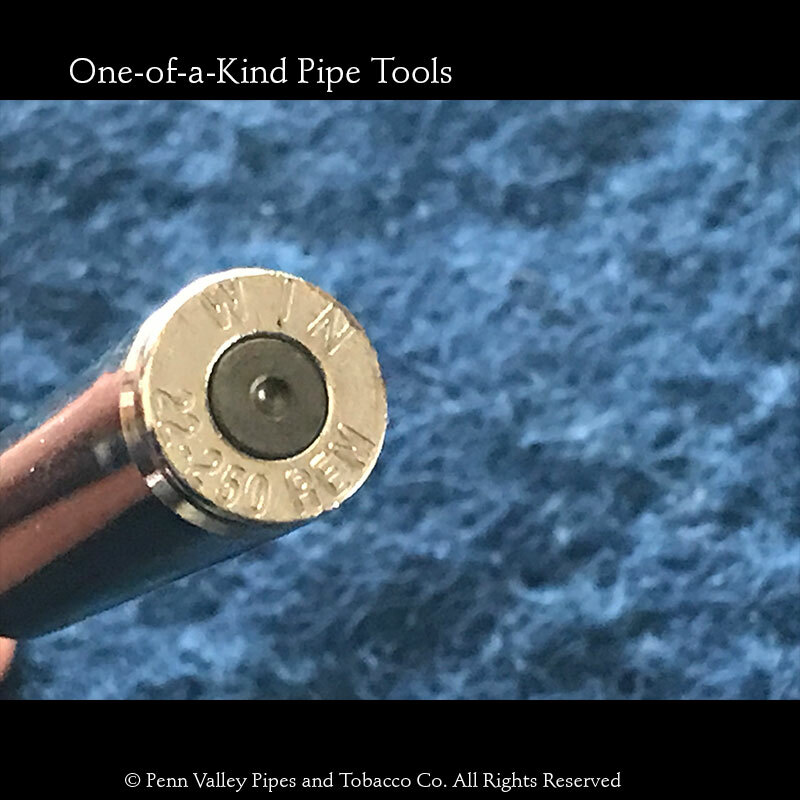 The stainless steel projectile would jamb any respectable firearm. 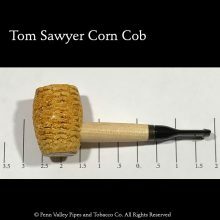 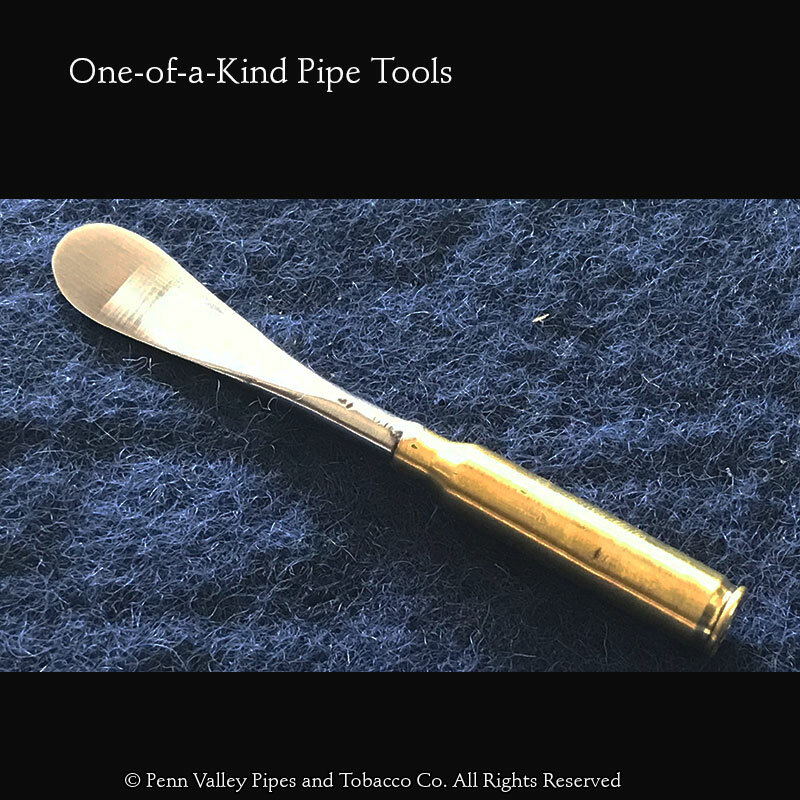 As a pipe tool, however, there are few that can beat this one in design and function. 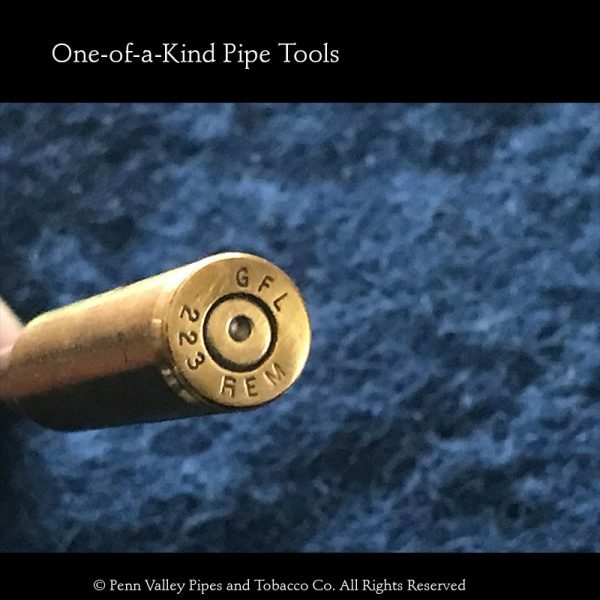 This toll is hand-machined in Pennsylvania by the Mitllah Company exclusively for Penn Valley Pipes & Tobacco Co.
*That’s a joke, folks. 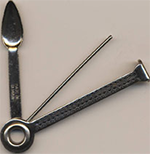 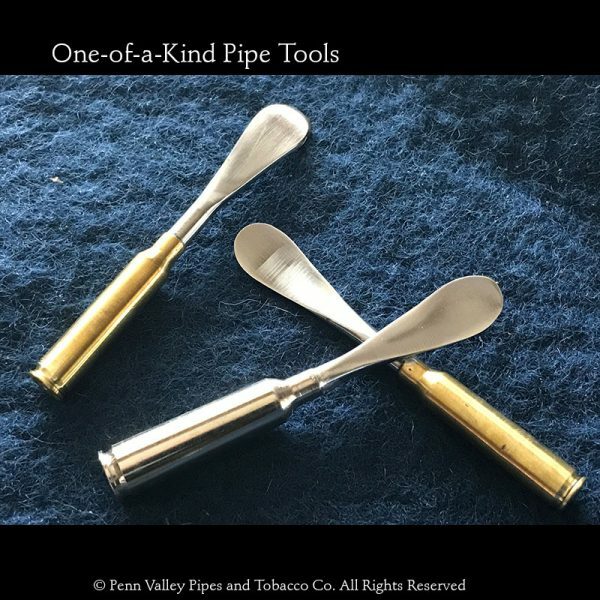 No black powder was used in the manufacturing of these pipe tools. Two styles: Brass and silver plated brass. 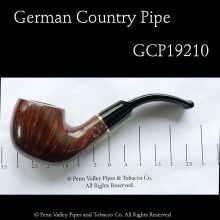 Available styles will appear in the dropdown. 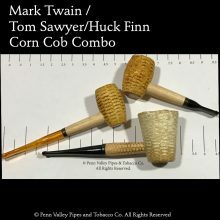 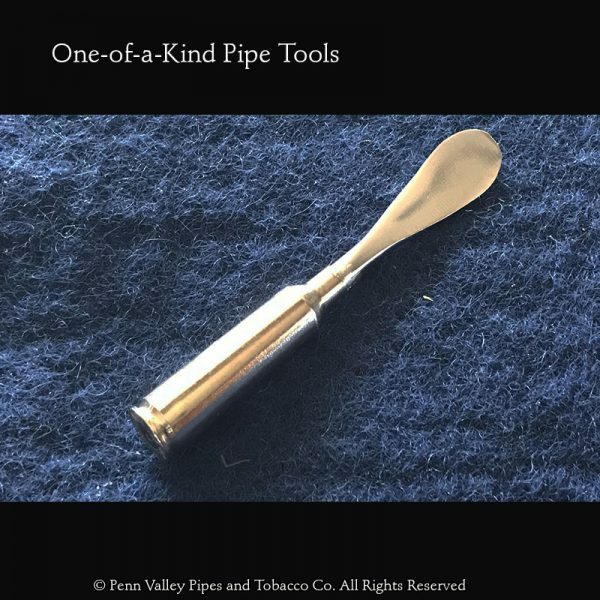 This tool is hand-machined in Pennsylvania by the Mitllah Company exclusively for Penn Valley Pipes & Tobacco Co.